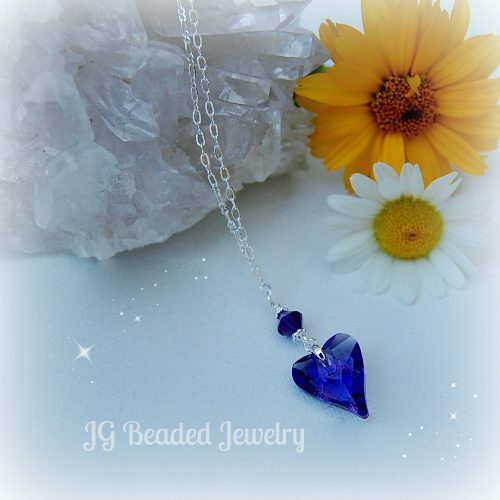 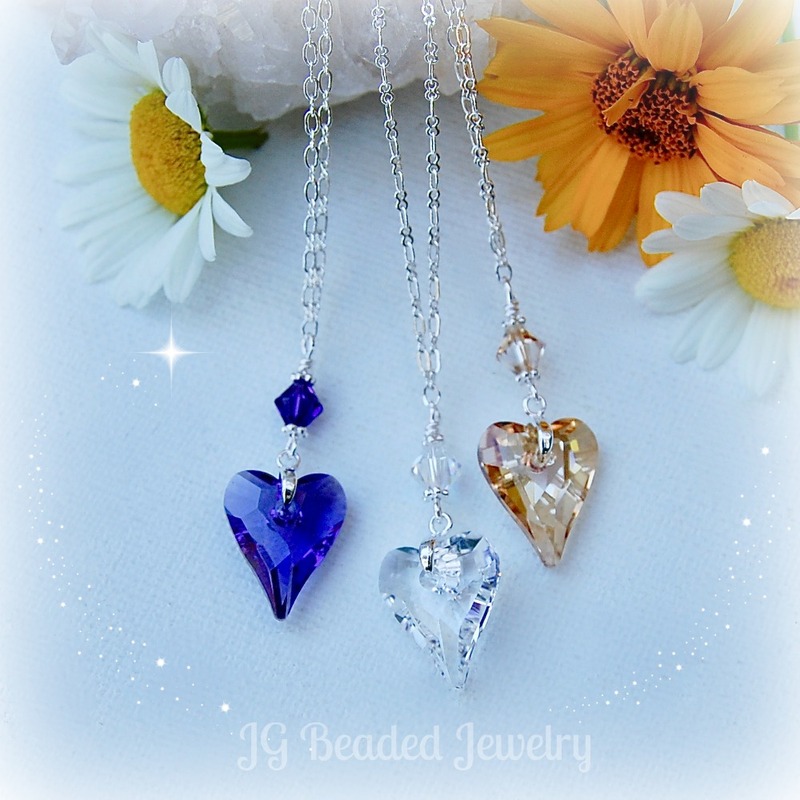 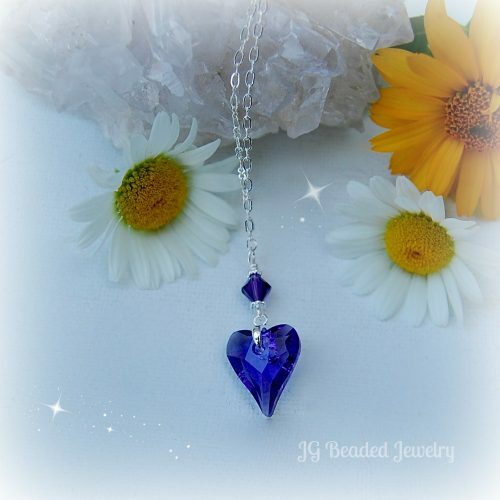 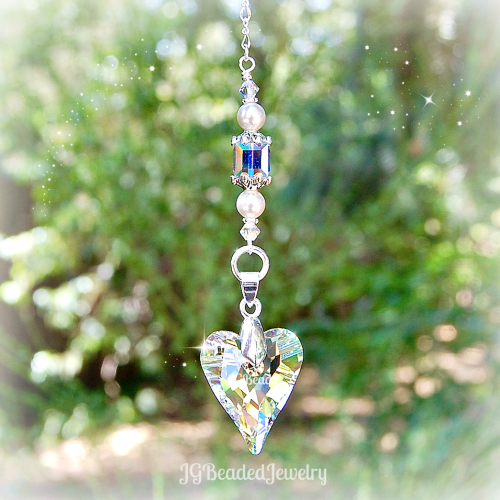 This Swarovski heart crystal necklace is uniquely designed and crafted with care. 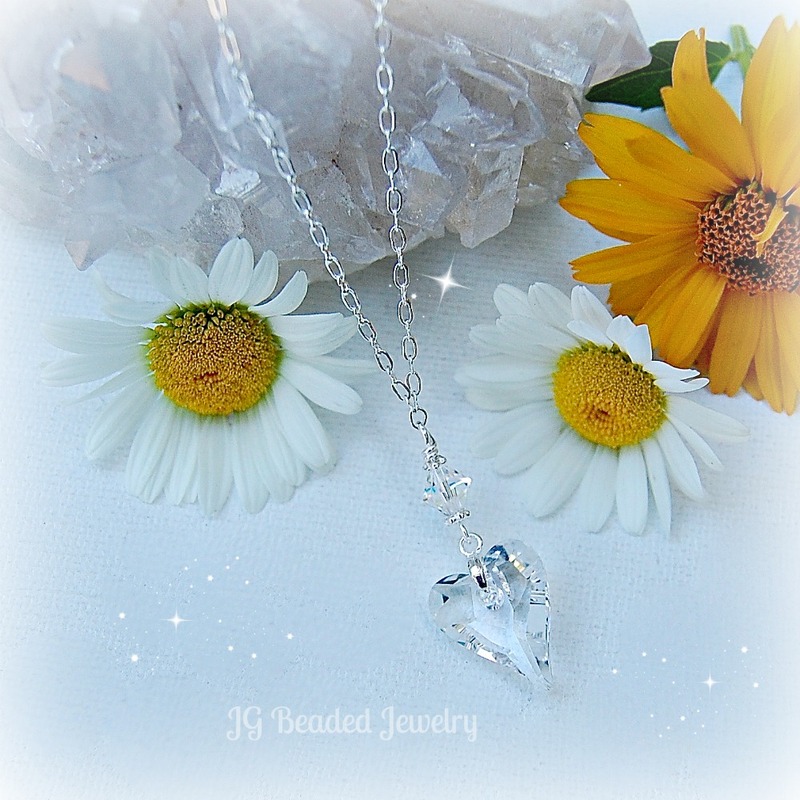 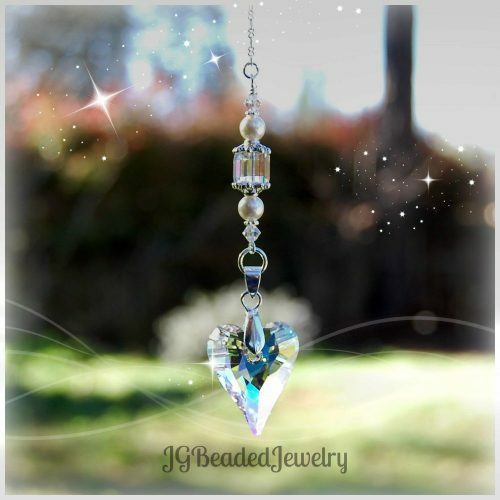 The Swarovski Wild heart has an elegant shape and is complimented with an iridescent Swarovski crystal along with fancy silver metal beads. The handcrafted silver chain necklace measures 18 inches. 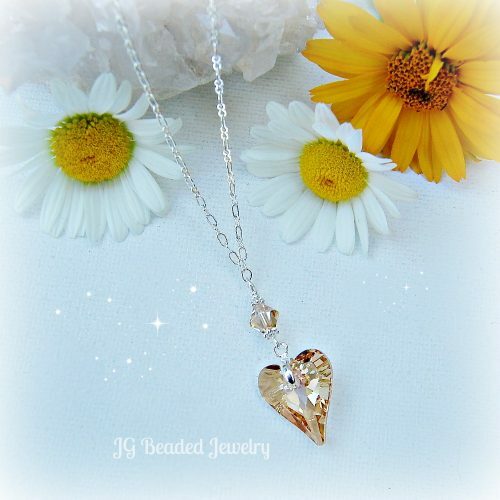 The 17mm heart pendant is securely wire wrapped into the chain which will keep the clasp in the back of the neck. 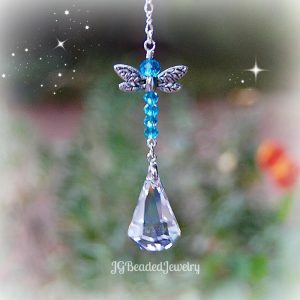 Other colors are available in the shop!